If you are considering IVF, chances are good that you’ve heard acupuncture can help. So, the million-dollar question is: does acupuncture really help IVF success rates? As an acupuncturist working with women undergoing IVF for the past 15 years, I say “most definitely” – as do the women I’ve worked with! But what do the evidence and the reproductive docs say? This study (the first of its kind) showed that when women received acupuncture before and after embryo transfer, pregnancy rates were 20% higher. After this groundbreaking study, many reproductive specialists started recommending acupuncture to all IVF patients. Some even provide it on-site. We acupuncturists tend to replicate the methods used in this study, including the specific acupuncture points. It is truly a marriage of state-of-the-art Western medical techniques with ancient Chinese medicine. Since 2002, research continues, and outcomes vary widely – as there are countless variables involved in both acupuncture and IVF techniques, plus the health differences among women undergoing IVF. 11 studies that find acupuncture improves IVF outcomes. 4 that reported no effect. 1 that found a negative effect (which was put down to the fact that the patients had to drive across town after their embryo transfer to reach the acupuncture clinic). Clearly, we need more studies, and these are underway. However, did you know that it’s virtually impossible to do a double-blind randomized control study on acupuncture? It’s impossible to “blind” the acupuncturists, as well as a control group that receives “sham” acupuncture. Still, it’s possible to do well-designed studies on acupuncture. what do the reproductive docs say? It depends! Progressive reproductive docs around the country frequently recommend acupuncture as part of IVF care for all women. Some provide it on-site, or refer to a nearby acupuncture clinic. Other IVF specialists may not be aware of all that acupuncture can do besides alleviating stress and anxiety, and they may refer women who are nervous about the process. Sometimes women find out about acupuncture on their own and begin treatment before they start IVF, which is ideal. what do the acupuncturists say? We use acupuncture to improve your ovarian reserve egg quality, by influencing the endocrine hormones that control follicle growth – specifically LH and FSH. Did you know it takes almost a full year for a “selected” egg to go through all stages of development before reaching the point of ovulation? So, the time to improve egg quality is roughly 300 days before retrieval, and sooner if possible. Acupuncture can support all phases of follicle growth. This helps ensure the highest quality eggs at retrieval time. We continue to support follicle development, and also treat side effects from the IVF meds – common ones are headaches, soreness, irritability, bloating, low back pain, and breast tenderness. We also help to reduce stress and soothe anxiety. The 2002 landmark study included acupuncture right before and right after your transfer. An acupuncturist on site can do this. However, women tell me they much prefer coming to the acupuncture clinic which is far more comfortable and conducive to relaxation. My protocol is acupuncture the day before transfer (or the morning of) and then immediately after. The waiting game! Often anxiety can be high – not conducive to implantation. Embryos implant better when stress hormones are down – specifically when your parasympathetic nervous system (“feed and breed”) is activated. This is when blood flow goes towards your uterus. Acupuncture two-three times per week after your transfer is ideal. In addition to reducing stress and worry, we use time-told acupuncture treatments that “lift, hold, and secure” a pregnancy. When you get a positive pregnancy test, then we discuss the use of acupuncture moving forward during your pregnancy. 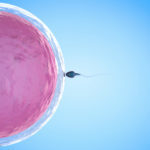 A woman in her late 20s comes to prepare for IVF. She had a prior IVF baby and her doc told her there was absolutely no way she could conceive again without IVF. We identified her underlying Chinese medicine pattern of imbalance, and added herbs. Within three months she became pregnant. Voila, no IVF needed! A woman in her late 30s comes to prepare for IVF. She had done IVF five times prior, with the same doctor (the only one in driving distance) and no success. This was her first IVF using acupuncture. 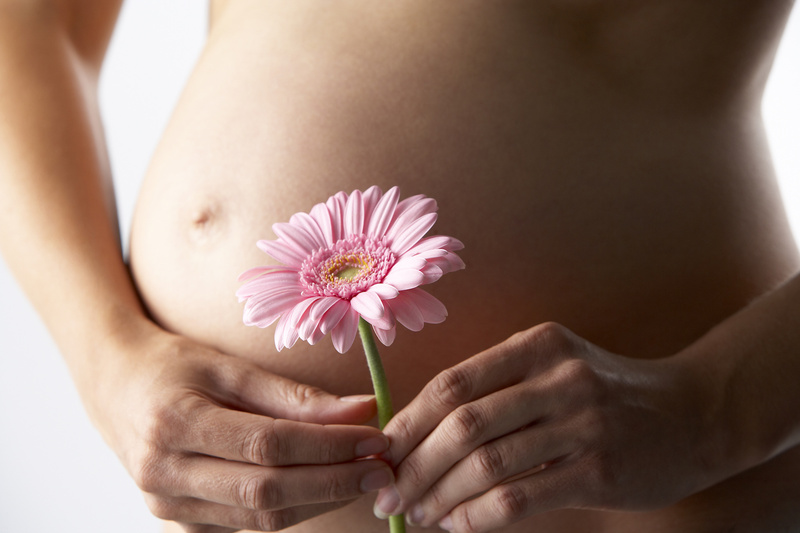 A positive pregnancy – success with acupuncture! Another woman who came to work on fertility at least a year prior to IVF. I had hoped she would achieve pregnancy without IVF, but no. When it came time to decide how many embryos to implant with IVF, she and her partner (and her doc) decided that three would be fine, as she had never been pregnant and was in her late 30s. And . . . you guessed it, all three embryos implanted and she has a vivacious set of triplets! (By the way, this is pretty much NOT done anymore). A woman in her early 30s comes to prepare for her first IVF. Her doctor told her IVF was her only option for pregnancy. She had one acupuncture treatment, before going on vacation to Hawaii, where she conceived! After that, she had no problem having her second child naturally.